I was reappointed as the president of the Japanese Society of Pressure Ulcers for the 7th term (2 years from September 2017) at the first board meeting in September 2017. Over the past 2 years, I have devoted myself to the development of the society, which has been achieved with your cooperation. I would very much appreciate your continued support for another 2 years. 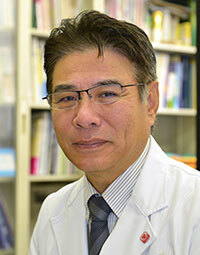 Since its establishment in 1988 as a society for multiple health care professionals and medical engineering researchers engaged in pressure ulcer and wound care, the Japanese Society of Pressure Ulcers has developed into a major academic organization with more than 8,000 members. Such development is the fruit of the outstanding leadership abilities and visions of the first to fourth presidents: Takehiko Oura, Takahiko Moriguchi, Yoshiki Miyaji, and Hiromi Sanada. I would like to express my sincere respect for them. To date, the society has performed diverse activities, such as developing DESIGN and DESIGN-R as pressure ulcer assessment tools, publishing guidelines and guidebooks, holding various seminars, launching a certification system, and conducting national surveys to examine the status of patients with such injuries. During the previous 2-year term, the society published a ‘technical textbook’ on medical device-related pressure ulcers (MDRPU), entitled: , while taking over the activities that had been continuously performed. The textbook explains and summarizes measures to prevent and manage ulcers/wounds related to medical equipment and devices, which press against patients’ bodies during treatment. As such injuries will be increasingly dealt with in medical environments, in addition to those due to the pressure from patients’ own weights, the textbook may be useful for daily reference. The society also conducted the 4th status survey, and reported the results at the 19th academic meeting. On the other hand, the challenges I listed on my first appointment (further organizing the certification system, expanding team approaches for home pressure ulcer care, enhancing nurses’ awareness to increase the number of those licensed to perform specific wound care procedures, improving training facilities, and revising guidelines) have yet to be addressed. Although I may be less experienced than the former presidents, I am determined to make further efforts to address these challenges, and contribute to the further development of the society, which will celebrate its 20th anniversary next year. Your continued support and cooperation would be very much appreciated. Copyright（C） JSPU. All rights reserved.